Looking ahead for 2019: Roxhill Park is Getting Better and Better for Everyone! Less than one year ago, a handful of neighbors got together with Seattle Parks to focus on three Goals: To Build Community, Increase Safety and Support Stewardship of our beloved Roxhill Park. We started small, and scrappy, and at a loss where to begin! 2018 Your Voice/Your Choice award for $88k to be spent on trail improvements scope phase starting now. 2018 Giving Tuesday crowd fundraising award in partnership with our Fiscal Sponsor Seattle Parks Foundation. Rose Foundation Award to commence full hydrology study of the Roxhill Park wetland scope phase starting now. Working with the Green Seattle Partnership on our monthly work party stewardship and new planting parties in the year ahead! Working with the Seattle Parks Foundation to apply for a larger, complimentary grant to the Rose Foundation, to educate the public about the wetland and complete engineering corrections to the wetland (bog) based on the hydrology study findings. Work with Parks and the City of Seattle Department of Neighborhoods to source funding for a community based, updated vegetation management implementation plan in order to protect the native and rare species in the park wetland environment. Continue to develop and apply for community-based grants to produce recreation and arts programs in the park Spring-Fall 2019. Continue to develop with our partners and stakeholders our multi-pronged, long term strategy to improve the social environment and trail safety of Roxhill Park overall. Continue our outreach, to the community, stakeholders and new partners to keep up the amazing momentum we’ve established! Today is the day to give!! Building Community: Creating activities and programs that connect neighbors and business owners. Increasing Safety: Helping our public gathering space become truly safe and accessible for all by working with the Seattle Police Department, Seattle Parks, the City and the community determine and enact short- and long-term safety improvements. Supporting Environmental Stewardship: To protect, improve and educate the public about our unique wetlands and open green spaces. Our fiscal sponsor, Seattle Parks Foundation, has created a $1,000 challenge award if we receive gifts—of any size—from at least fifteen (15) unique donors on #GivingTuesday. Donate before midnight to support Roxhill Park Champions and help us reach our #GivingTuesday goal of fifteen donors. #GivingTuesday – – Unlock $1,000 & Support Roxhill Parks Events in 2019! Kick off the holiday giving season on #GivingTuesday, November 27, by supporting Roxhill Park Champions’ work to restore and transform the social and environmental climate of Roxhill Park — Our fiscal sponsor, Seattle Parks Foundation, has created a $1,000 challenge award if we receive gifts—of any size—from at least fifteen (15) unique donors on #GivingTuesday. Your #GivingTuesday gift supports the all-volunteer Roxhill Park Champions to cover budget gaps or non-qualifying expenses in our grant-funded projects. We’ll post the donation link on November 27th. Help us unlock $1,000! Arts Funding for 2019 – Fingers Crossed! 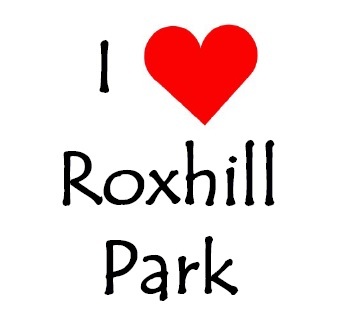 Roxhill Champions just submitted grant applications to the Office of Arts & Culture to support new program funding running Spring/Summer 2019 in our park. Our vision is to bring the community together through a local music festival and annual film night. Send out the good vibes for these awards! Grants will be announced Dec/Jan 2019 and Jan/Feb 2019. You can learn about some of the Parks grants available here.